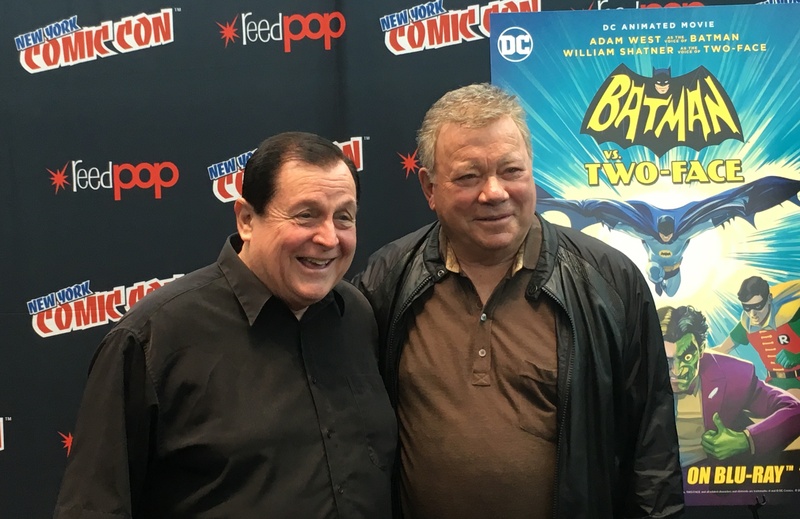 Batman vs. Two-Face is available for download now, so it’s time to check back in with Burt Ward. I spoke to Ward as part of a media roundtable at New York Comic Con and he teased his future as Robin and talked about having William Shatner in the fold. The complete audio’s available over at The Batcave Podcast, which you can check out here or on iTunes. It’s a nifty 8-9 minutes of Boy Wonderdom. Meanwhile, feel free to check out my 13 QUICK THOUGHTS review of the movie itself: Click here. — 13 QUICK THOUGHTS on Batman vs. Two-Face. Click here. — Prospects for another animated Batman ’66 film appear dim. Click here.